Hiya lovelies! I hope you're all having a lovely weekend, I've had a fab time chilling watching movies and attempting to start my Christmas shopping (or finally buying myself a new coat, same thing) and now I'm spending my Sunday afternoon blogging and waiting for this storm to develop! Eep. 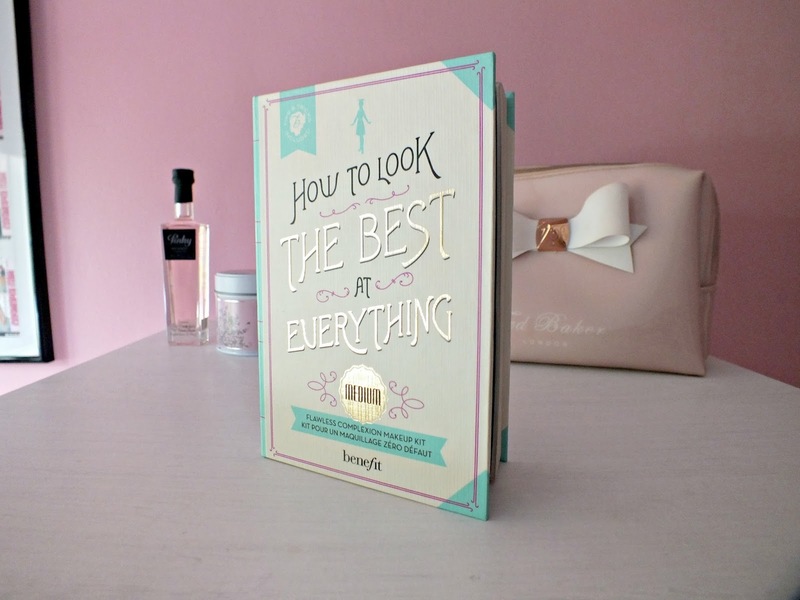 Anyway, yesterday my very lovely boyfriend surprised me with this gorgeous little gift from the Benefit Counter. I guess Darren must pay more attention than he lets on when I drag him around endless clothes shops and makeup counters, because yesterday he presented me with this little beauty that he picked out completely on his own, boyfriend points awarded in the form of a bacon sandwich for breakfast. This little gift set is the 'How to Look the Best at Everything' set in the shade medium, which turned out to be the perfect set for me while my skin still has a hint of colour (I'm still using a subtle gradual tan, I refuse to give in to winter skin just yet), I do have to use a foundation that is very slightly darker to blend my face to my neck because no matter how much fake tanning I do or don't do, it will forever be at least two shades lighter than the rest of my body. This kit includes mini versions of; 'Hello Flawless Oxygen Wow' foundation in the shade 'I'm So Money', 'Boi-ing' Concealers in shades 2 and 3, Hello Flawless Powder in the shade 'I'm Cute as a Bunny', POREfessional Primer and a little powder brush.This all comes is a cute little book shaped box with a pretty design, it looks perfect in my room! The box has a good sized mirror inside too, making it fab for travelling! So, after trying these products today, I'm going to give you my first impressions of them all. First up, the Primer, which I don't need to give a first impression of as I've used it plenty of times and it has become my favourite primer of all time. This makes the skin look and feel smoother, it gives a flawless matte finish and reduces the appearance of pores dramatically. This alone makes the skin look ten times more flawless than before, so it's definitely a good start! Next up the foundation, which I've wanted to try for some time but wasn't sure whether to stray from my usual Doublewear as this one is definitely a much lighter coverage. However, lucky for me, I've been having a good skin week this week and this foundation was perfect for that. It feels light on the skin and has a thin, slightly runny consistency, so it isn't thick or heavy on the skin at all. While the coverage is light, you can definitely build it up if you want to, but I quite like the more natural look. I'll be honest, my skin isn't really too bad generally, so I don't actually always need a full coverage, so I think I'll definitely consider this as a more natural day to day alternative to my beloved doublebwear. Next up, the concealers, this was another Benefit product I hadn't tried before and while I don't really have spots or redness at the moment, I used the slightly lighter shade on the dark circles under my eyes and it covered them really well. They don't have a high coverage instantly, but can be built up to be full coverage. I may review these again if I get to a time where my skin needs a little more help in that department but so far, I'm impressed! Finally, the powder. 'Hello Flawless' powder is one I'd been umming and ahhing over for a while as I'd heard great things, but I'm incredibly emotionally attached to my MAC MSF natural. However this powder did not disappoint, it mattifies, sets your makeup and provides a little extra coverage, perfect for wearing over the lighter foundation, seriously impressed! Honestly, on first impressions alone, I would say I'd definitely buy all these products in full size. I'd possibly need to give the concealer a second look, but I've been super impressed with everything so far. I may do an update on these products if anyone would be interested in that as I think it's good to give everything a few days or weeks wear when you're trying out a new foundation routine. I think this kit is perfect for anyone looking to try new face products as you get all you need in one kit and you know you're getting products that are made to work well with each other. It's perfect to try before taking the plunge and going for the full size! 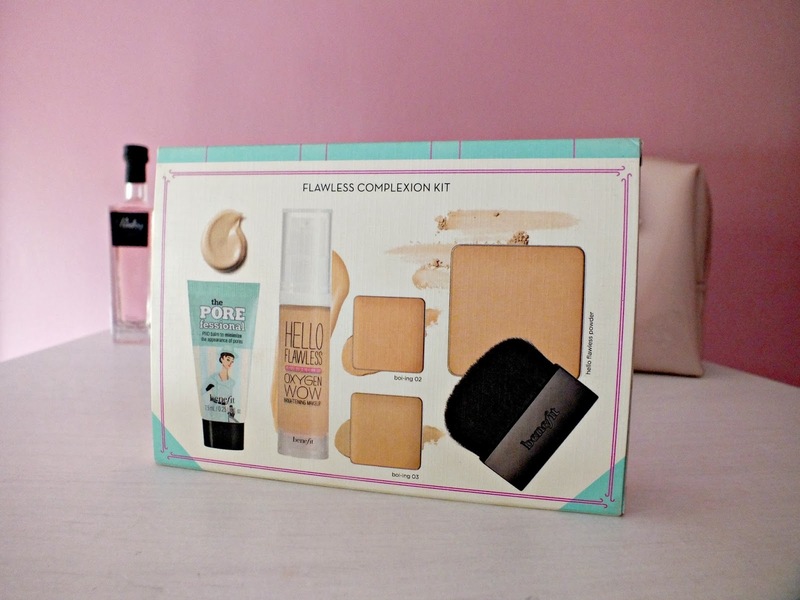 You can purchase this kit at Boots, Feel Unique, the Benefit website or any department store. What do you think? Have you tried this kit, or would you like to? P.S I've had a little blog makeover! I'd love to know what you all think? Let me know in the comments! I've wanted to get my hands on the Light version of this for ages, but like you I know I'd want to buy them all full size! I just wish you could remove the powder and have it packaged so I wouldn't have to take the whole box with me if I went away. Ooh this set looks lovely! I really need to look into this for a christmas present for either myself or a friend. 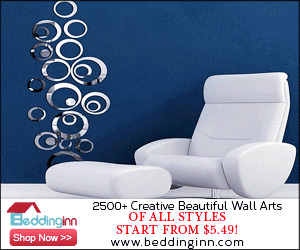 Thank you for the great review on the product. Check out my last blogpost? The packaging is super cute! I don't really use Benefit cosmetics much but I have a friend who would love this. Definitely considering buying this as a Christmas gift. 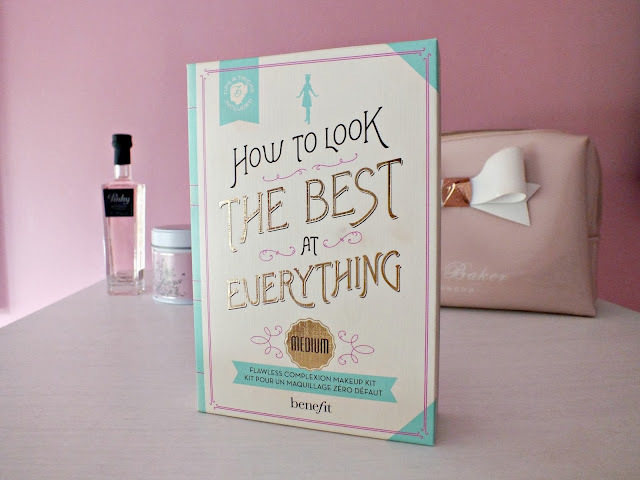 I don't wear Benefit any more but a great product for my friend for Christmas! 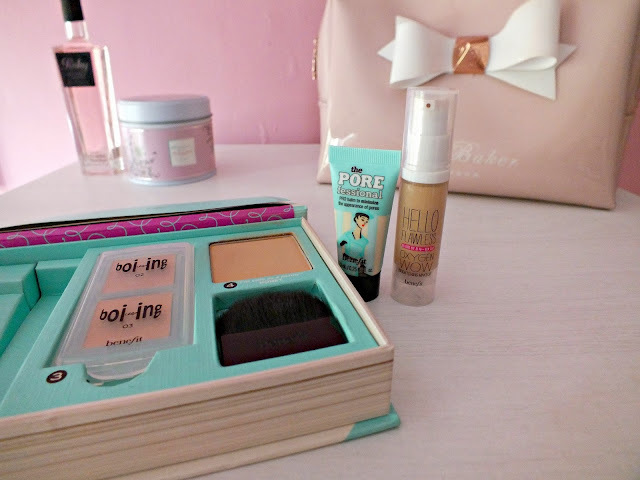 I love Benefit products, they are usually always really good quality and I the cartoons and packaging make it fun. If you didn't like the Boing! concealer than you should definately try Fake Up by them. That's the one I use and it's great. Anyway, great post. I wish they had these little boxes here in the US! 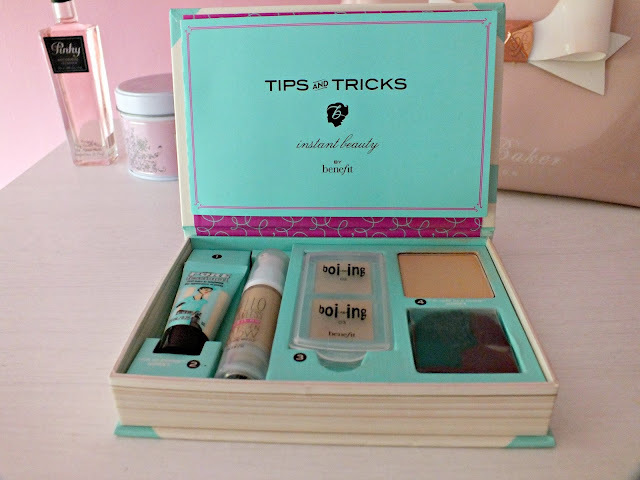 This looks lovely set to have and try out Benefit products.